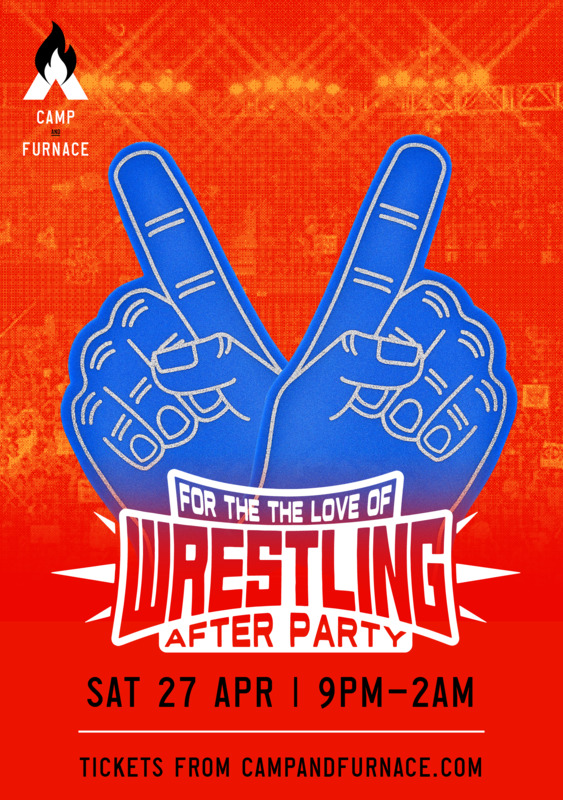 Camp and Furnace host the Official &apos;For The Love Of Wrestling&apos; After Party, following the convention at the M&S Bank Arena! If you think you've seen a party fit for wrestlers, 'You ain't seen nothing yet!' So, tap out your night right & let's get ready to RUUMMMBBBLLLLLEEEEEE!! It's the only way to end the day...at the BIGGEST, BADDEST & BEST after party yet. Expect: special guests, great beer, themed cocktails & huge power hits all night long!